How much could you save by swapping a one-bed flat for a flatmate? It may seem obvious that sharing a place would be cheaper than renting a one-bed apartment. But, how much cheaper would it be? Data from realestate.com.au and Flatmates.com.au has revealed that renters could save a whopping $15,000 per annum by ditching the one-bedder and getting a flatmate. 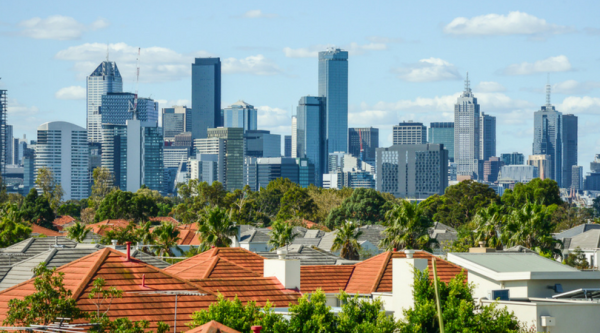 The comparison looked at the 15 most expensive suburbs to rent a one-bed apartment in Sydney and Melbourne versus the average cost to rent a private room in a shared home. 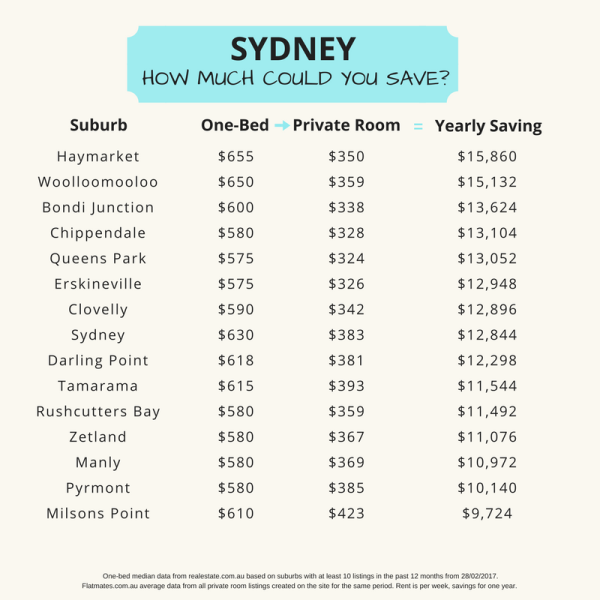 Those swapping a one-bed apartment in Sydney’s Haymarket stood to save the most with a possible rent reduction of $305 per week, or $15,860 p.a. Woolloomooloo came a close second with a potential saving of $15,132 p.a. Flatmates.com.au chief executive officer, Thomas Clement said the figures showed that those willing to share a home could save considerably on their rent and bills. 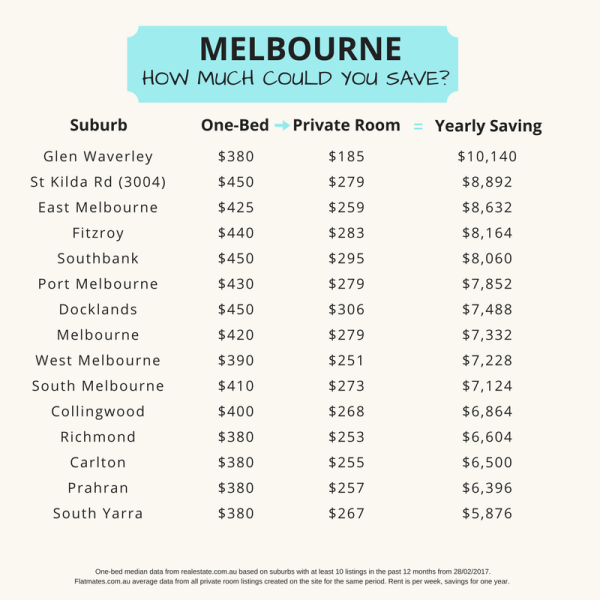 In Melbourne, those renting in Glen Waverley stood to gain the most savings by ditching the one-bedder for a shared home, with yearly savings just over $10,000. St Kilda Road (3004) saw the next biggest potential saving with $8,892 less per annum by swapping one-bed place for a flatmate.